Ernest Edward Hibberd was born in 1899 in Semley, Wiltshire, and baptised there on 30th July, 1899. He was the son of Frank Hibberd, a Milk Factory Hand, and Ellen Hibberd (nee Chubb). At the time of the 1911 Census he was single, a Scholar and living at Dairy Cottages, Semley, Wiltshire. He enlisted in Southampton as a Private and joined the 3rd Battalion of the Duke of Cornwall's Light Infantry (Service No. 41320). He noted on enlistment he was living at 48 Winchester Road, Shirley, Southampton. (His name was reversed on Military Records). He served in France & Flanders and was awarded the Victory and British War medals. He died on 13th April 1918 and his name appears on the Ploegsteert Memorial, Ploegsteert, Hainaut, Belgium (Panel 6). 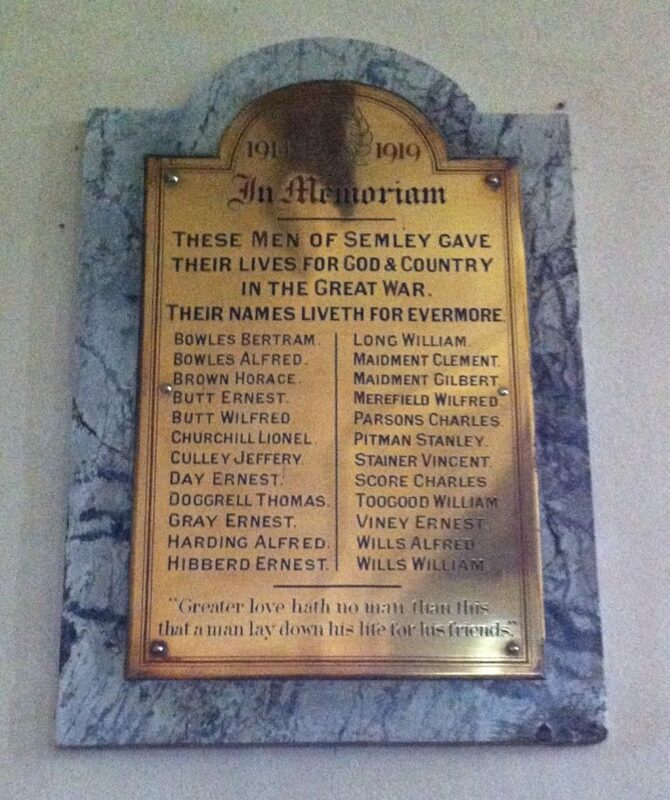 He is remembered on the War Memorial in St. Leonard's churchyard, Semley, Wiltshire, and the Semley Baptist Chapel plaque, now in St. Leonard's Church.